Come on in for a wonderful experience in casual fine dining! Our amazing restaurant serves breakfast, lunch, and dinner, seven days a week 360 days a year. Visit us and try our famous Rainbow Trout prepared more than 20 different ways! Do not forget to sample our excellent steaks and exquisite fresh baked cobbler. The restaurant is open 360 days a year with it only being closed December 23 -27. The restaurant is housed in the main building of the resort, once the General Store. This building was lost to a fire in January of 1986, but was replicated in style in honor of the original. In the winter of 1998, the dining room was expanded. The beautiful addition allows more seating and provides a wonderful view of the hummingbirds! The bar was added in 2013. 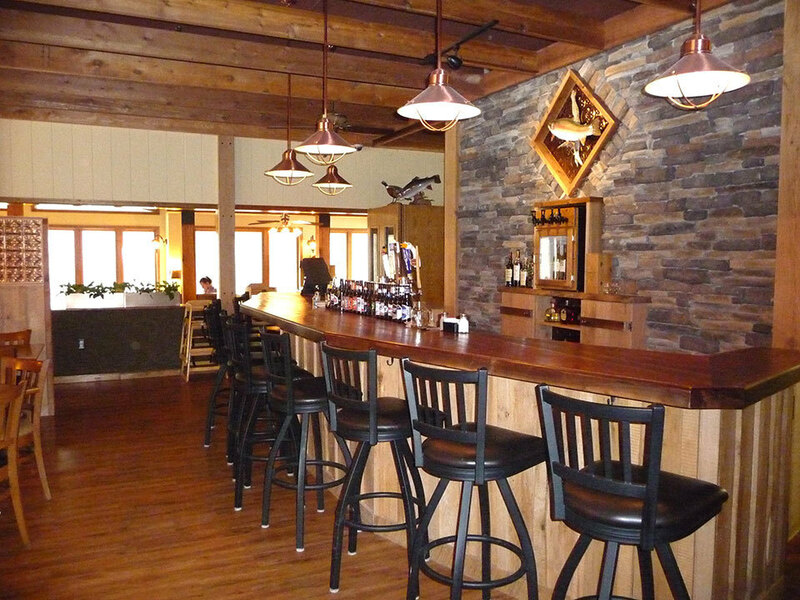 We offer full bar service in the Copper Trout Lounge. Try one of our various microbrew drafts, mixed drinks, bottle, or draft beers. So come on in and pull up a chair, it’s a great place to share fish stories while we prepare your table. 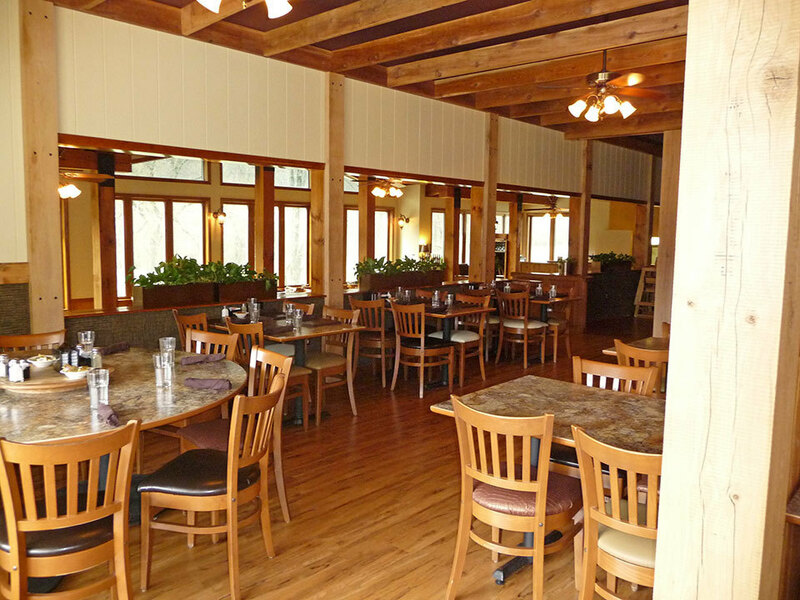 Enjoy delicious, home-cooked meals as you dine at the Rainbow Trout & Game Ranch. There are many specialized entrees making each dining experience something unique! Please call (417) 679-3619 for reservations.